In this episode of the Digital Sociology Podcast I spoke to Susan Halford who is Professor of Sociology at the University of Bristol and the President of the British Sociological Association. Amongst other things she explains the emergence "semantic web" to me and we discuss why this is of interest to sociologists and what sociology my have to offer in understanding it. If the web is a massive database of documents then the semantic web is a way of identifying and connecting "entities" within those documents (WolframAlpha is an example of a basic version of the semantic web). Susan says that this is a significant ontological task of identifying what kinds of things do and do not exist in this space. For the semantic web to develop huge amounts of data on all kinds of topics would need to be gathered and analysed which would also require decisions to be made about what kinds of data to include and exclude. We also discuss about the benefits and challenges of working working across the social sciences and computer sciences. I ask Susan about a paper she wrote with Mike Savage in which they outline a fascinating reading of the work of Thomas Piketty, Robert Putnam and Richard Wilkinson & Kate Pickett. They propose the approach taken by these authors can be applied as "symphonic social science" which could be used to approach big data. https://research-information.bristol.ac.uk/en/publications/speaking-sociologically-with-big-data(37fbb772-fa88-4371-974b-dd91ce57d86a).html Susan also offers some of her opinions on why sociologists are sometimes a bit scared to work with "big data" and how we might be able to overcome this. For this episode I spoke with Tom Brock who is a Senior Lecturer in Sociology at Manchester Metropolitan University. He tells me about his research into e-sports and video games and how the changes in the political economy of video games leads to a more rational approach to games. Is this damaging to the experience of play if it becomes instrumentalised. He also suggests this potentially encourages a neo-liberal orientation to the self as we are encouraged to measure ourselves and our performance in terms of a vast array of metrics. It was fascinating to hear about the embodied experience of elite video game playing including the strains put on bodies in order to compete at a high level and the insecure lifestyles of those hoping for a share in the potential riches of prize money or sponsorship. As someone who is terrible at video games I really connected with they way in which Tom conceptualised the perverse pleasures of failure when playing games. The references for the articles of Tom's we discussed are below along with links. T. Brock (2017). Videogame consumption: The apophatic dimension. Journal of Consumer Culture.pp.146954051668418-146954051668418. You can listen to the podcast on Anchor or subscribe and download through iTunes, Google Podcasts, Spotify or wherever you usually get podcasts. In this episode of the Digital Sociology Podcast I am talking to Kylie Jarrett who is a lecturer in Department of Media Studies at the National University of Ireland Maynooth. She writes and researches on internet cultures and has written on the “culture of search” inspired by Google. But in this episode we are mainly talking about her feminist analysis of digital labour. This is a concept which has been developed to describe the value which users of the commercial internet (and particularly social media) generate through their interactions. Through a critique of some strands of “autonomist” Marxist analysis she suggests that he gendered character of this “digital labour” is often overlooked and the novelty of this situation is overplayed. Some people (usually women) have long been contributing “free labour” necessary to the functioning and maintenance of capitalism (broadly speaking social reproduction). Kylie has suggested the concept of the "digital housewife" to describe this. Social media companies have just found a particularly effective means of mobilising and monetising our everyday interactions and the maintenance of our relationships and communities. In a very entertaining discussion Kylie tells me about how an annoyance with some people overlooking the tradition of feminist work which had established these points and the dismissal of of her reading of digital labour incited her anger which she channeled into the book. In this episode of the Digital Sociology Podcast I spoke with Mark Carrigan. Because it has taken me ages to upload this podcast my introduction to Mark on the podcast is a bit out of date now. 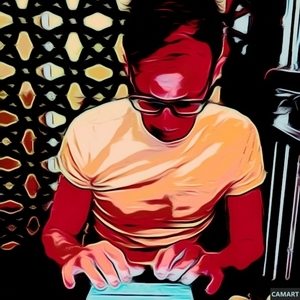 But Mark is the Digital Engagement Fellow at The Sociological Review and a researcher in the Culture Politics and Global Justice cluster in the Faculty of Education at the University of Cambridge where he works on research on the digital university. I also mention that he runs the Sociological Imagination website which has since been closed down. Mark is on Twitter @mark_carrigan I have just changed over my podcast host from Soundcloud to Anchor. If you listen on a podcast app this shouldn't make any difference and you should get new episodes as normal. But if you usually listen through a browser on Soundcloud you will just need to go to my profile on the Anchor site instead. In this episode I spoke to Rachel Thomson who is Professor of Childhood and Youth Studies at the University of Sussex. Rachel tells me about the “Everyday Childhoods” project (which is part of the long-running “Mass Observation Project”). This is a project which both archives young peoples’ lives and studies their use of digital media and devices. We talk about how this project fits with older forms of archiving and existing approaches to childhood studies and the significance of how children and watched and what happens when this becomes digitized. This is the first episode in my new Digital Sociology Podcast. In this series I will be talking to researchers doing work looking at the impact of digital technologies on society and culture. For this episode I spoke to Mike Saker from Southampton Solent University about his work on "locative media" such as Pokémon Go and Foursquare. We discussed the application of the notion of the flâneur to the digital realm. We questioned whether locative media enable a new commercialisation of space and commodification of play? Mike questioned whether locative media create a performance of authenticity? We also discussed Mike’s tendency to study things just as they die! For this final episode in the series I spoke to Aristea Fotopolou about her work on gender, data and self-tracking. She told me about her work on fertility and pregnancy apps and how they construct and embody discourses of gender, capitalism and neoliberalism. We question the extent to which we are encouraged to be "good citizens". In my view Aristea has some very interesting and useful ways of conceptualising the ways in which we engage with health and exercise tracking such as "biopedagogy" and focusing on the "micropractices" of using technology. Aristea tells me about her experience of conducting an autoethnography of her use of self-tracking and how her identity as a researcher and a research participant blurred. In the discussion Aristea connects the discussion of self-tracking to her other work on feminist activism and digital networks through suggesting that tracking is a form of gendered labour. For this episode in the series I spoke to Btihaj Ajana who is a Senior Lecturer in Culture, Digital Humanities and Creative Industries at King’s College London and Associate Professor at Aarhus Institute of Advanced Studies. We talk about her work on biometrics and self-tracking. She suggests that when our bodies are transformed into data they are able to be distributed over networks and our bodily boundaries become more open and fuzzy. She sees this as a shift from body as flesh to body as data and this new ontology requires a new engagement with ethics politics and regulation. In the sixth episode in the series I spoke to Liz McFall from the Open University. Liz discusses some of her work on the history of insurance and how this relates to the contemporary impact which digital data is having on insurance. New sources of data are changing how data is calculated although sometimes the changes are not as big as we might expect. We discuss whether self-tracking technologies will create personalised insurance pricing based on exercise activities and speculate on the forthcoming changes to the Affordable Care Act in USA. For this podcast I spoke to Lynne Pettinger about the work she has done with Ewen Speed and Andrew Goffey on the use of data in the NHS and its impact on how services are managed and understood and the role it plays in privatisation. A key issue she addresses is the impact of the Health and Social Care Act 2012 and how it signalled a shift in the role of the NHS. In particular there was a move from the role of the state being to "provider of care" to being a"promoter of care". In episode 4 of the podcast I am talking to Will Davies, the author of The Happiness Industry and The Limits of Neoliberalism. Will tells me about his research into the history of economics and psychology and its influence on public policy. Why do governments and businesses want to make us happy? What's in it for them? In episode 3 of the podcast I am speaking to Tamar Sharon about her work on self-tracking and the move of digital companies (such as Google, Facebook and Apple) into health research. 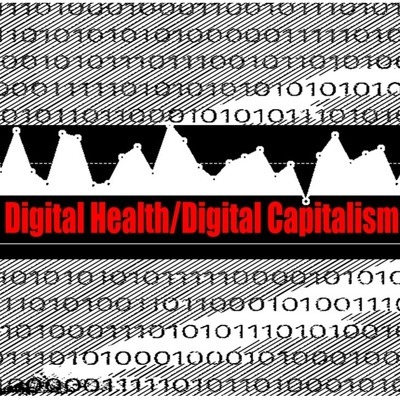 Amongst other things we discuss the Apple HealthKit and Google's Baseline study and their implications for the political economy of health and how they are potentially skewing the direction of health research. We also think consider whether self-tracking should be seen as a manifestation of neoliberalism or as something with the potential for the development of different kinds of identities. 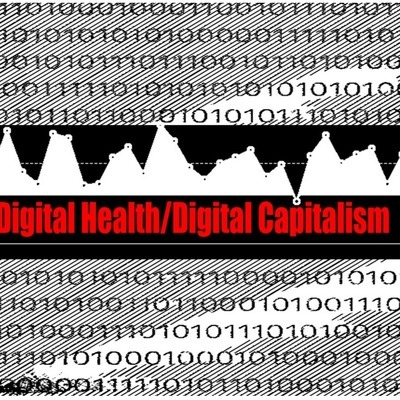 In the second episode of my Digital Health/Digital Capitalism podcast I spoke to Minna Ruckenstein about her work on various aspects of digital health and in particular how this is influenced by consumption. We discussed issues around "surveillance capitalism", "prosumption" in digital health technologies, direct to consumer genetic testing and the potential for self tracking devices to be used to establish social solidarity. 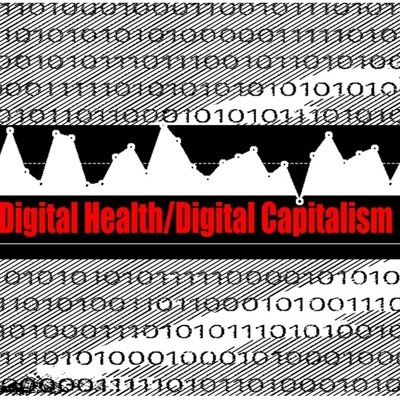 This is the first podcast in the series and I am speaking to Nick Fox about his work on personal medical devices and his analysis of digital health and digital capitalism more generally. I think this discussion works pretty well as a broad introduction to the themes of the series as Nick really clearly lays out some useful ways of approaching these things. He also offers some suggestions of how things might develop in the future and some propositions for how we can challenge some of the more damaging aspects of the digital health and capitalism. Can we reshape digital technologies to have more positive and collective affects? Can networked health devices enable solidarity and collective action?